One of the most important things in growing food successfully is the Soil. Other things that are almost as important are Shelter, and maximum hours of Sunlight. 1) Kitchen Compost ~ Include all fruits and vegetable clippings, all spoiled fruit and vegetables, tea bags, coffee grouts, small amounts of cardboard and paper torn into strips (no laminated ink, and large amounts of paper and card must be recycled elsewhere), kitchen tissue, thin prunings and clippings from garden plants and trees (larger branches should be composted/used separately), grass cuttings in small amounts (larger amounts compost separately), leaf mould, stalks and stems of spent garden plants, vacuum cleaner waste, egg shells, weeds, bird dropping. You can pee on your compost heap, easiest for dudes to do. It helps it along. Don’t use meat, fish, cooked leftovers (even vegetable), diseased or blighted plants from garden. 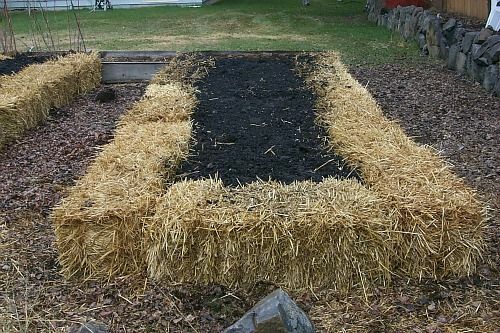 There are specially built compost containers or you can build one. Have a pallet at the bottom to allow air to circulate. 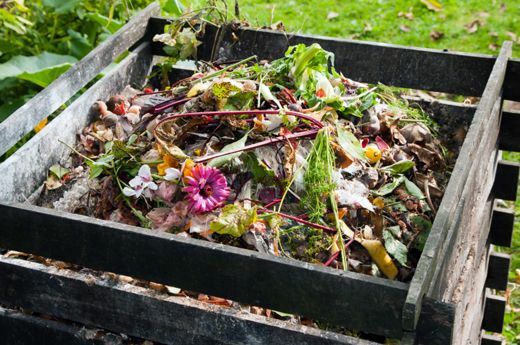 Compost is a special art, which I will cover in more detail another time. 2) Seaweed ~ March and November are the collecting times here as great quantities wash in. Rinse the salt off what you gather and leave to compost on its own for a while. Or if you collect it in November, put it out on top of the beds to be dug in when Spring comes. 3) Farmyard manure ~ Horse, Cow. Let them compost for 3 to 6 months as they are too ”hot” to use fresh. 4) Spent Mushroom Compost ~ if there are mushroom fams nearby they get rid of their soil regularly. it is quite ”hot” in the beginning and needs to rest for about 6 months. It is not strictly organic, but the additives soon leave the soil and it is a really useful stand by soil. 5) Chicken Poo. You can buy this in tubs. It is VERY concentrated so use as directed, in small amounts. It is smelly, but fantastic for plants that need high nutrition, like a sprinkle of it at the base of tomato plants when they are being planted in. 6) Liquid Concentrates. You can buy these or make them. We have low barrels in the garden, one for nettles and one for comfrey. 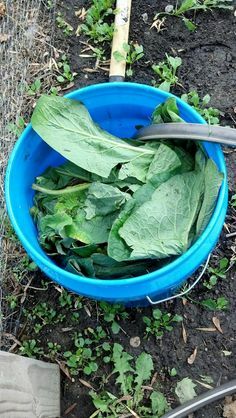 (Grow a few Comfrey plants…you will benefit from them). Stuff into one barrel as many nettles as you can, the other as much comfrey leaf and top up with water. 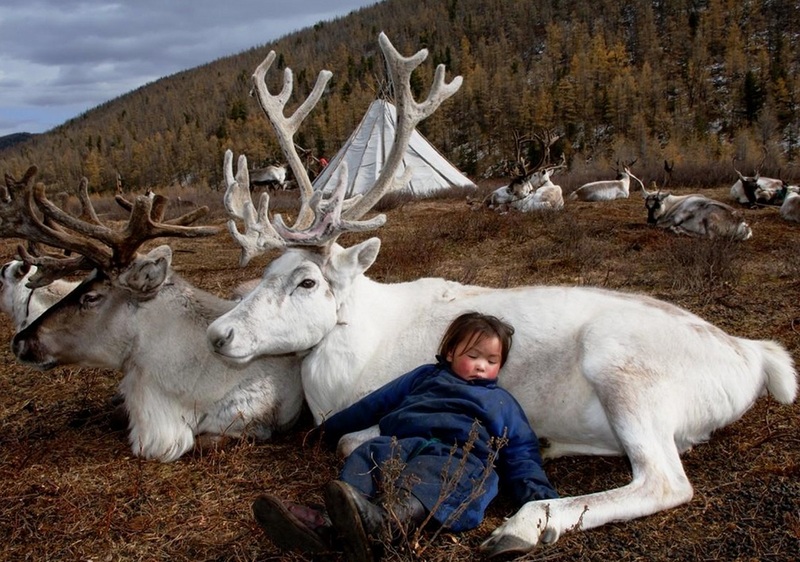 Protect from children. The rain will keep the barrel topped up as you use the liquid and you keep adding comfrey/nettle as the season goes on. It makes a really concentrated green feed. Nice and smelly too. They are known as ”teas”. You could also make a ‘Black Jack’ tea from well-rotted animal manure and water. Leave for 10 days and use as needed. There are other things you can add, for example, wood ash from stoves (no other fuel to be used in stove). More later. Unbroken ground is usually too compacted and needs to have other ingredients worked in to make it friable and light. Some soils are very heavy in winter and become like clay in summer and need much compost added so that they become crumbly. In urban areas the top soil is often shallow, as a result of building methods, but every patch of ground has more and less favourable spots. Subsoil that has been uprooted in urban areas has little fertility. Where nettles grow naturally, for example, is usually a fertile site. . It may take a few years for new ground to be brought up to productive fertile conditions. If you take some soil in your fingers and rub it and it is ‘gritty’, your soil is sandy; if it is sticky, your soil is clayish; if it is silky, your soil is silty; and if none of the above, you have loam, or well-balanced soil. Nitrogen is the most important element in soil for healthy plants. Peas and Beans ‘fix’ nitrogen in the soil so they are good crops. Or you can use a mix of the soil that is there and spent mushroom compost, or horse manure from a stables. Some vegetable like carrots don’t like recently manured soils; they like sandy free-draining soils, but most other vegetables are fine with soil that has been enriched. Some say shelter is equal to all other factors and I have found it to be so. Windbreaks in the form of green netting are useful if the plot is exposed. This is especially so if you live on higher ground, or in an exposed area. Wind will cut growth spectacularly, even if everything else is perfect. Plant trees and shrubs around your perimeter. If you have space, consider a walled garden. These are an old-fashioned idea, especially in the more well-off houses, and they were insanely useful (and beautiful). The south facing wall in walled-gardens could even grow figs and mediterranean foods in northerly climates. 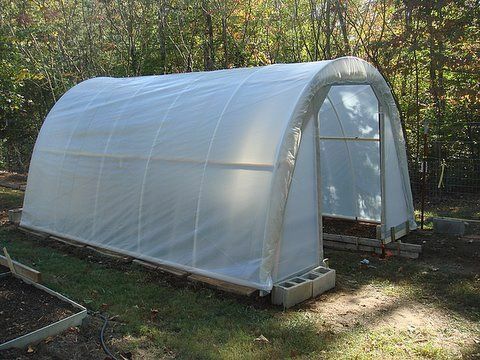 The cheaper version of this is poly-tunnels, which maximise sunlight and shelter. I can grow tomatoes into December in a cold mountain place because of these. Glass houses are more beautiful, but are much more expensive. Be careful of ‘frost pockets’ on your site and avoid. Maximise available sunlight. 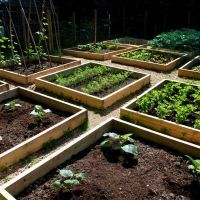 Orientate your vegetable beds along a north south axis (for summer crops). Plant tall vegetables to the back so as not to overshadow smaller ones. Avoid overhanging trees. The eastern light first thing in the morning is valuable. It warms the plants and soil early, so in some ways (I have found) it is more valuable than the western evening light. More another time……..(Pics not from my place).